White and Williams is pleased to announce the addition of Bridget La Rosa as Counsel in the New York City office. Bridget joins the Tax and Estates practice group. 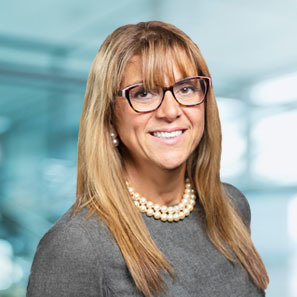 Bridget is a seasoned trust and estate lawyer, focusing her practice on estate and tax planning, wealth transfer and estate and trust administration for New York and Connecticut residents. Bridget has extensive experience with the administration of complicated estates, including tax audits with the IRS and dealings with the Art Advisory Panel. She has successfully defended against objections to probate, handled trust construction, decanting and judicial accounting proceedings, removal and appointment of fiduciaries and has experience with the Charities Bureau of the Attorney General’s Office and various Surrogate’s Courts. Bridget also handles residential real estate transactions and commercial lease negotiations. Active in her community and in pro bono work, Bridget was the recipient of the City Bar Justice Center’s 2017 Jeremy G. Epstein Award for Pro Bono Service.